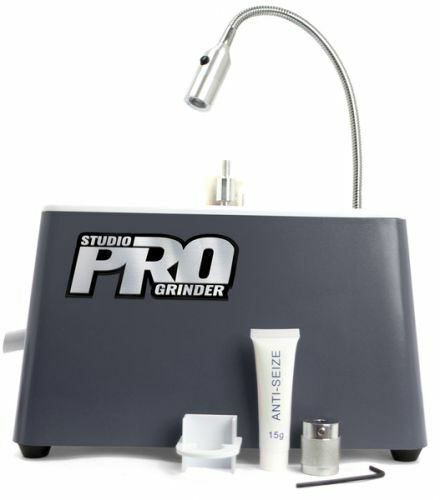 The Studio Pro Grinder is the professional grinder at a hobbyist price! 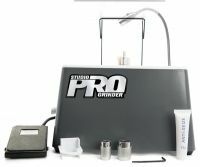 Equipped with a 1/8 HP motor, 1/4" and 1" Studio Pro Bits, the Studio Pro Grinder is powerful enough to keep up with serious glass artisans. 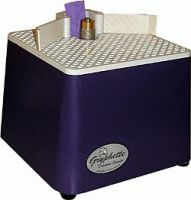 Features the Super Sponge water cooling system and a 9-1/2" x 9-1/2" easy glide work surface and an adjustable light. Horsepower: 1/8 HP Motor - Largest in its class! - Full 6 year warranty.